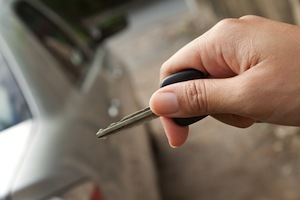 The crime of operating a motor vehicle while impaired may be prosecuted in Burbank regardless of whether the allegation involves driving under the influence of alcohol or driving under the influence of drugs. The consequences for driving under the influence of drugs in Burbank can be harsh and long-lasting, especially when illegal narcotics are discovered in the vehicle or on the defendant's person. In these circumstances, prosecutors may charge the defendant with a Burbank drug crime. When someone is accused of driving under the influence of drugs, they would not have a blood-alcohol level so they are usually only charged with California Vehicle Code Section 23152(a) VC (driving under the influence of alcohol and/or drugs). Under the statute, a person can be charged for driving under the influence of any drug that has an impairing or intoxicating effect, even if it is a properly prescribed medication. As a result, someone can be arrested for driving under the influence of drugs when they were taking the drug in question on doctor's orders. The Court is concerned with keeping impaired drivers off the road, even if the impairment is caused by a legally prescribed drug. For people on prescription medications, it is important to review any and all safety material regarding whether or not one can drive while using the medication. The process for DUI drug cases in Burbank is similar to the Burbank DUI Process when alcohol intoxication is suspected, with some key differences. In order to initiate the stop of a vehicle, the officer must have reasonable cause that the driver is violating the law. This is usually an observed violation of the Vehicle Code or other infraction. After stopping a vehicle and interacting with its driver, a law enforcement officer would then have to form an opinion regarding the driver's intoxication based on observed symptoms, such as red/watery eyes, slurred speech and other physical indications that someone may be under the influence of a narcotic. The vast majority of law enforcement officers receive training as to how to identify alcohol intoxication during DUI stops. The same is not true for drug intoxication. Instead law enforcement officers rely on certain officers who are certified as Drug Recognition Experts ("DRE"). These DRE officers can be called to assist in a traffic stop in order to help identify and evaluate a driver who is suspected of driving while under the influence of drugs. There is no easy way to measure drug intoxication scientifically, and any DUI Drugs case in Burbank requires that further forensic testing be completed on a defendant's blood or urine sample. Because the California DMV can only suspend driving privileges for motorists who drive with a blood-alcohol level of 0.08 or higher, the DMV does not take administrative action for those accused of driving under the influence of drugs in Burbank. However, if that driver is ultimately convicted of DUI in court, the DMV would then issue a license suspension as a mandatory action triggered by the court conviction. A conviction for DUI with drugs in Burbank can carry harsh penalties and consequences. Someone convicted of this offense can be sentenced to serve custody time in jail, pay substantial court fines and assessments, attend alcohol/drug classes, and perform hours of community service or community labor. There are other collateral consequences that one should be wary of. In some cases, someone convicted of this offense would have to register as a narcotics offender with police and items such as security clearances can be threatened. In addition, this type of conviction on a criminal record can frighten away potential employers and may prevent people from being able to rent certain apartments. There are several ways that an experienced DUI defense attorney in Burbank can fight charges of driving under the influence of drugs. Because officers are not uniformly trained on recognizing drug intoxication, a skilled lawyer can challenge their observations and whether there was reasonable cause to stop the defendant's car. In addition, a drug test can be misleading, as certain substances may be prone to false positives or else can remain in one's body well after their intoxicating effect has diminished. If you are facing an allegation of DUI drugs in Burbank, it is very important that you speak with an experienced Burbank DUI attorney as soon as possible. Burbank DUI Attorney Michael Kraut is a former Deputy District Attorney with over 14 years of prosecutorial experience. Mr. Kraut was formerly assigned to handle cases at the Burbank Courthouse and established a reputation there as a skilled and formidable litigator who has a deep knowledge of the DUI law. Mr. Kraut fights hard on behalf of his clients charged with driving under the influence of drugs to make sure they have the best representation possible. For more information about Burbank DUI with Drugs, and to schedule your free consultation, contact Burbank DUI Defense Attorney Michael Kraut at the Kraut Law Group located at 2600 West Olive Avenue, 5th Floor, Burbank, CA 91505. Mr. Kraut can be reached 24/7 at 888-334-6344 or 818-563-9810.